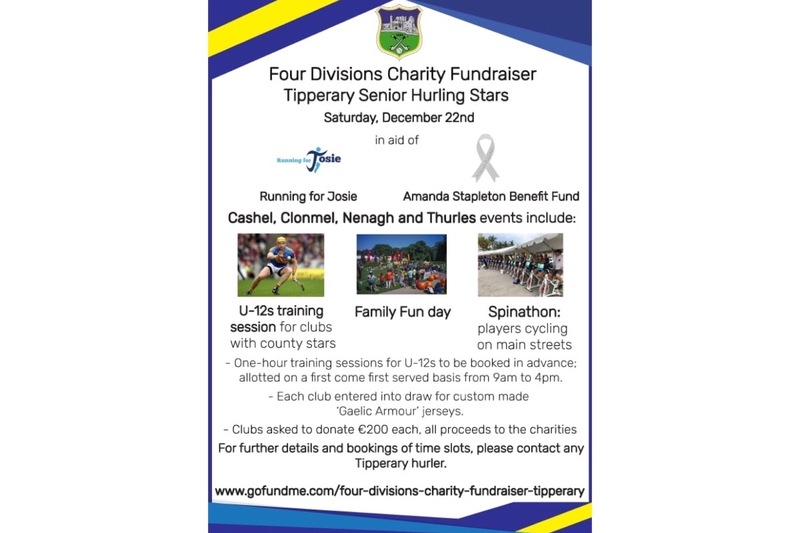 We the Tipperary senior hurling team are fundraising in aid of two former players charities, Running for Josie (Seamus Hennessy) and the Amanda Stapleton Benefit fund (Paddy Stapleton). We plan on having four divisional charity events around the county, in Cashel, Clonmel, Nenagh and Thurles and are using gofundme as one of our platforms to generate funds. Both charities are raising funds for great causes and any help would be greatly appreciated.